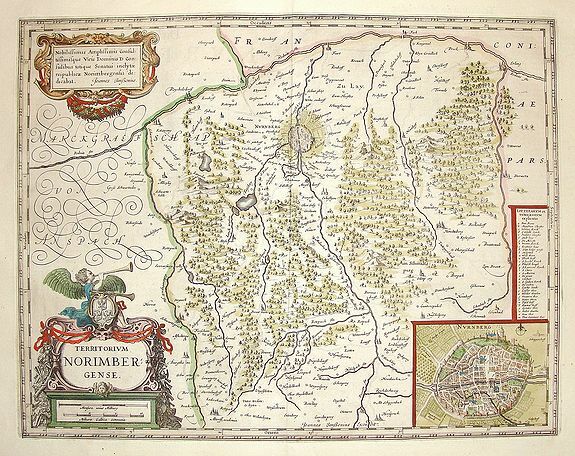 BLAEU, W. - Territorium Norimbergense. Territorium Norimbergense. - BLAEU, W.
Title : Territorium Norimbergense. . Size : 14.3 x 18.5 inches. / 36.2 x 47.0 cm. Description :Map displays area of Germany centered on Nuremberg. Nice decorative cartouche with an inset of Nuremberg in the lower right corner.